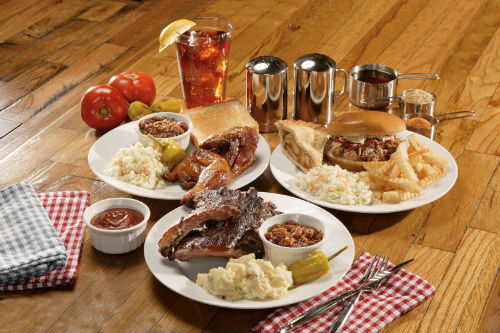 This includes Pork, Buns, Baked Beans, Cole Slaw, and BBQ Sauce. This allows enough pork and buns for 1 ½ sandwiches per person. Paper products (plate, utensils, napkin, salt & pepper) may be added for $0.30 per person. 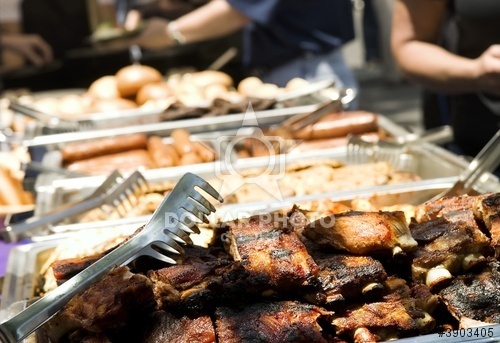 This includes Pork, Smoked Chicken, Baked Beans, Cole Slaw, Potato Salad, BBQ Sauce, Plate, Utensils, Napkin, Salt & Pepper. This allows enough pork and buns for 1 ½ sandwiches and 1 piece of chicken per person. ½ Smoked Chicken ~ $4.79 each. These can be quartered. 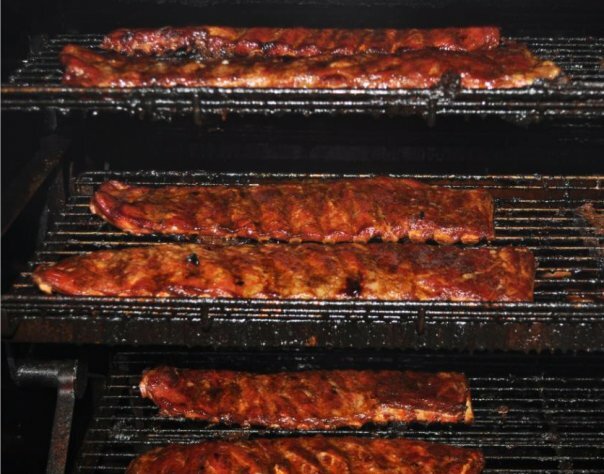 Rack of Ribs ~ $18.99. These can be cut in 2 or 3 bones depending upon what you want to allow per person. Chopped Brisket ~ $11.49 per pound. Chopped Smoked Chicken ~ $11.49 per pound. Potato Salad ~ $21.99 / gallon. Baked Potatoes ~ $2.49 each (includes butter & sour cream). Sweet and Unsweet Fresh Brewed Tea ~ $8.00 / gallon (includes cups and ice, if needed). Pecan Pie ~ $2.19 slice or $11.99 whole pie. Fudge Walnut Brownie ~ $1.19 each. Fried Pies (Chocolate, Peach, Coconut, Apple) ~ $2.49 each.